Business description - Bandhan Bank is a commercial bank focused on serving underbanked and underpenetrated markets in India. The company has a banking license that permits it to provide banking services pan-India across customer segments. The company currently offers a variety of asset and liability products and services designed for micro banking and general banking, as well as other banking products and services to generate non-interest income. The company’s network consists of 2,022 doorstep service centres (DSCs) and 6.77 million micro loan customers that its parent company Bandhan Financial Services Limited (BFSL) transferred to it in August 2015. The network has grown to 2,546 DSCs and over 9.47 million micro loan customers as of 30 September 2017. To complement the micro loan business, the company launched its general banking business in August 2015 by opening a greenfield network of 501 bank branches and 50 automated teller machines (ATMs). This retail banking network has grown to 864 bank branches and 386 ATMs as of 30 September 2017, serving over 1.87 million customers. 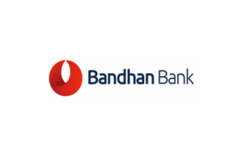 Bandhan Bank’s network is particularly strong in East and Northeast India, with West Bengal, Assam and Bihar together accounting for 57.75% and 58.13% of branches and DSCs, respectively. Bandhan Bank IPO allotment status is now available on Karvy Computershare’s website. Click on this link to get allotment status. Valuation too much high…… bank share good but this time too much high. So friend avoid this ipo. Banking sector going through a very tough or down side. avoid it. Price band is 332- 333 and IPO opens 16 March.